The entrance door of your house says a lot about you. The first impression about the look and aesthetics of your front door may leave a lasting impression on your guests. You must be careful about the design you choose and the metal you opt to make your home look and feel the best. 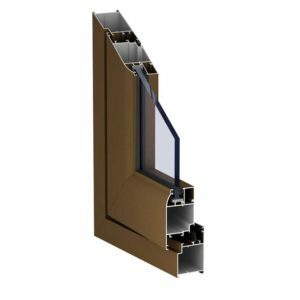 Most projects these days are opting for aluminium casement door fittings owing to their durability, high-performance levels and low-maintenance costs. AluPure, by profine Group, Germany, is a name renowned for its international quality aluminium window, door and sliding systems. The company allows you to choose from an extensive range of styles, colours, designs and configurations to suit the varying needs of your home decor. As opposed to wooden doorways, the casement doors made of aluminium ensure greater security and resistance to weather changes. If you are looking to renovate or getting a new home constructed, browse the myriad options we have to know how we can be the best door solution for your home or office. 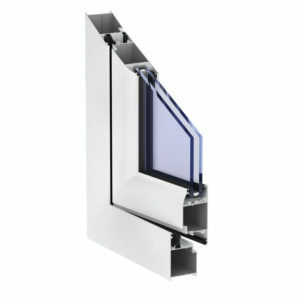 Keep in mind, you can accommodate 4, 6, 8, 10, 20, and 22 mm glass thickness. In addition, you may also have them as side doors, balcony doors and installed in the rear of the house. With us, you can be assured of getting the best quality in terms of the materials used as well as the finishes – after all, we believe uncompromising quality is born out of perfect harmony.. Our door solutions are designed to function perfectly, and for that reason, our channel partner’s choose installation team carefully. You can rely on our channel partner’s team of professionals and craftsmen who will ensure perfect installation of your doors. Our aim is to provide you freedom from the hassles of door fitting while guaranteeing you necessary peace of mind. Depending on your need, we design aluminium casement doors that can open inward or outward.